UPDATED: Before you activate this offer, i will advice you to activate it only if you received the sms which i uploaded below. I'm sure by now, we must have seen Mtn WowWeekend message. Mtn WowWeekend is a new Offer recently introduced by MTN which surprises us with overload data that will make us say WOW. 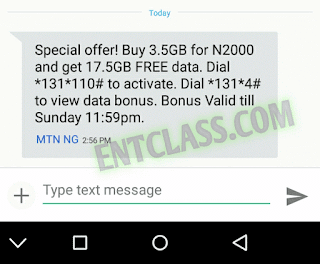 You can now get 7.5GB of data with just N1000 and 17.5GB of data with just N2000. This data is only usable on weekends i.e Saturday and Sunday. HOW DOES THIS OFFER WORKS AND HOW CAN I ACTIVATE IT? Before you can activate any of this data, you will need to activate a monthly plan that is supported to get this offer. 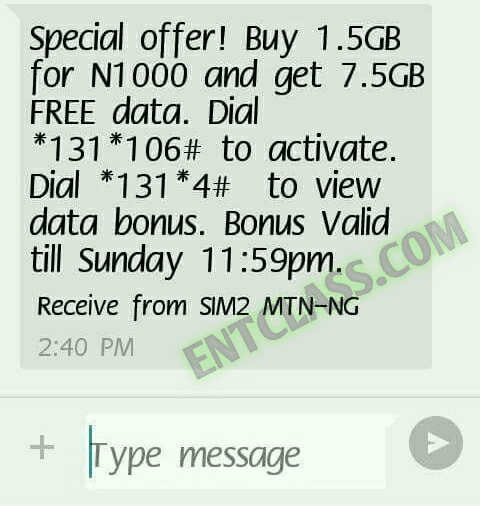 To get 7.5GB data for N1000, kindly dial *131*106# to activate their normal 1.5GB monthly data. Once activated, you'll be credited with 7.5GB weekend data immediately. After the weekend, you can now use the normal monthly data which is 1.5GB. 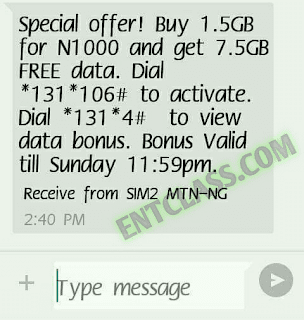 To get 17.5GB data for N2000, kindly dial *131*110# to activate their normal 3.5GB monthly data. 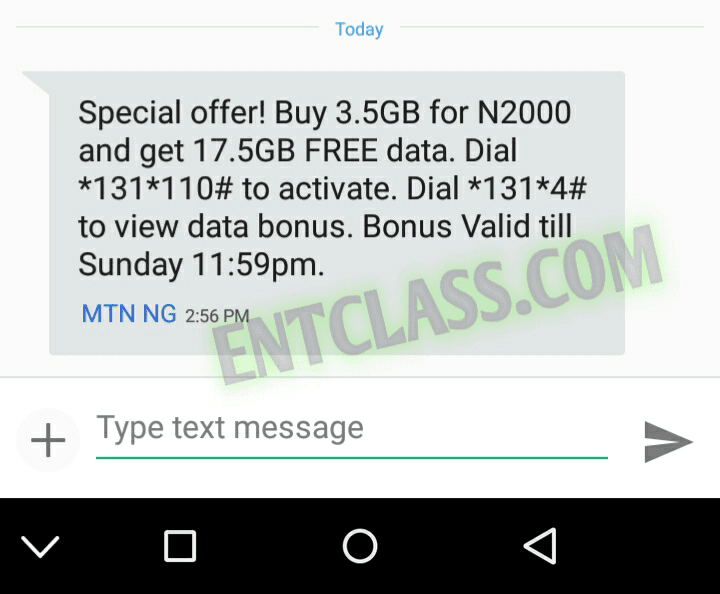 Once activated, you'll be credited with 17.5GB weekend data immediately. After the weekend, you can now use the normal monthly data which is 3.5GB. To check the remaining data balance on both offer, kindly dial *131*4#. WHEN ARE THE DATA EXPIRING? The WowWeekend data is expiring by Sunday 11:59 while the normal monthly data is expiring in 30days (1 month). If you have any problem or confused about this post, kindly comment below. If you find it difficult to comment, kindly search Entclass on Google Playstore and download it. Or download it HERE. You can also be notified of new free browsing tweaks on the app. This is serious. But someone tried it and they gave him the bonus data.